Dr. D was approached and began teaching a class for phobic and anxious flyers several years ago. In conjunction with Frontier and United Airlines and the Colorado Ninety-Nines, Inc. (an international association of female pilots) she uses the same cognitive-behavioral principles she has taught at Metro State and Colorado Christian College in Denver. 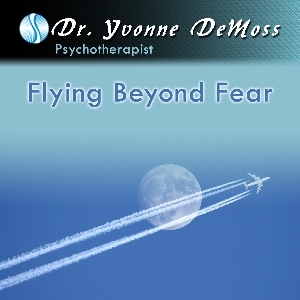 In her Flying Beyond Fear Audio CD, the patient experiences the 'practice effect' of flying successfully in their imagination. With the use of guided imagery and breathing/relaxation exercises, Dr. D takes the listener through The Airport Experience of an entire flight, first in reverse, then forward, re-training the brain to experience success and ultimately, mastery over their anxieties. Professional athletes have used the 'practice effect' for years to run through their events mentally because research has shown this enhances the outcome. Learn how to fly with ease while you re-wire the brain for success with Flying Beyond Fear. 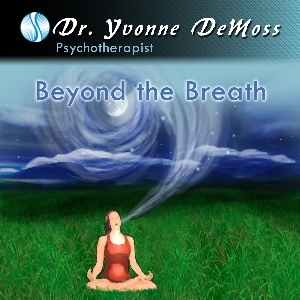 Dr. DeMoss, a psychotherapist with over 20 years experience, professionally facilitates this CD which offers a variety of breathing exercises, guided imagery and meditation exercises against the background of soothing sounds and music for general relaxation and the management of anxiety. Dr. DeMoss has taught "Flight Without Fear" for phobic flyers using the same techniques presented here.